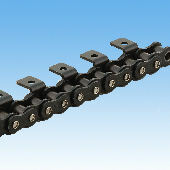 Can replace BS chain as-is on existing equipment. We also offer KF Series, which can be used in the food industry and in high-temperature environments. 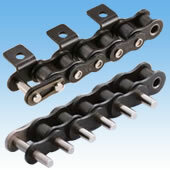 Improved the lubricant in our special oil-impregnated bushes to give the chain 30% longer wear life over our previous upgrade.